Tour departs from your nominated Shanghai hotel. Please include the details of your hotel at the time of booking. Tour returns to your Shanghai hotel. After pickup from your Shangahihotel in a comfortable, air-conditioned coach, relax during the scenic 3-hourdrive to the splendid city of Hangzhou. Listen as your knowledgeable guide setsthe historical scene and offers insight into the 2,000-year history of thecity. On arrival, begin yourexploration at the Six Harmonies Pagoda (Liuhe Pagoda), a majestic masterpiecethat towers at a height of 196 feet (60 meters). 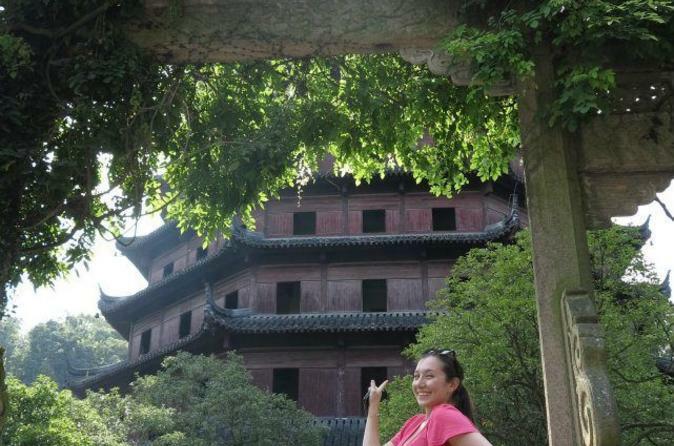 Admire the distinctarchitecture and the picturesque surroundings before visiting an informativemuseum beside the pagoda. Next, venture to Meijiawu TeaVillage to discover some of the world’s finest tea varieties; capture photographsof the verdant sprawl of plantations then experience the art of a traditionaltea ceremony for important insight into Chinese culture. Revitalize with a traditionallunch then head to the luscious landscapes surrounding West Lake, a beautifulbody of water that has inspired poets and artists from around the world. Board a boat and cruise theshimmering surface, admiring the temples, pagodas and mountains that pepper theshores. Disembark at Red Carp Pond to absorb the botanical beauty of thegardens, and then trace a picturesque trail through an area named 9 Creeks and18 Gullies. See meandering streams and quaint refuges while listening to anengaging narrative about the region’s rich heritage. When your enriching excursiondraws to a close, relax during the smooth journey back to your Shanghai hotel,where the tour concludes. My tour guide was very knowledgeable and personable and I was fortunate to have him for all my tours in Shanghai and I received all that was promised.
. Car was so bad. For long distance tour, the car wasn't suitable. the seats were so uncomfortable, very hard. Air Conditioner wasn't working. The driver opened the window. Can you imagine, For such long distance tour, you have to sit in the car like that ? Amazing tour with a Frank. He is very knowledgeable and gave us great information on the three tours I took with him. Tour guide Frank was great. The car was not clean and smelled of cigarettes, the air conditioner did not work. A 15-minute boat ride and no explanation. A lunch that would shame any average restaurant. The place looks like a moving movie theater. It does not look like it has been cleaned or replaced with table cloths for a long time. The Pagoda tour was a low-level round around the pagoda and that's it. A tour of the tea factory did not include explanations of how to grow tea and focused only on marketing and selling local products. It's a pity that the long journey time back and forth over 6 hours could be done by train and put in more content. This tour is not worth the money and a pity about time.  I am giving this tour a one star as I feel it was not just a waste of money it was also a waste of valuable time that I could have spent on something else while in Shanghai. The Heaven on Earth is a big overstatement. There was not really much to see. The West Lake is nice, but not nice enough to drive 3 hours in each way, there is literally one decent pagoda to see near the lake. We were picked up at our hotel at 8AM and then drove for three hours to Hangzhou. The city itself is nothing special at all, so the only thing to see there is a lake surrounded by a park. We spent about 30 minutes on the water and then were taken to a very ordinary restaurant to eat basic Chinese food for lunch. After lunch, we were taken to a mandatory sales presentation loosely disguised as a Tea Ceremony. There was no ceremony, just a quick medium to high pressure sales pitch for tea and tea derivatives. About the drive: the driver drove like a maniac, constantly changing lanes, cutting in front of other cars while constantly fiddling with his phone texting and talking without a headset, but mostly texting. The tour guide was very non-engaging, spoke very little. A good tour guide can speak the entire drive maybe giving some info about the area or things we passed on the way. She did none of those things and was not prepared for that as she didn't even have any kind of loudspeaker with her. 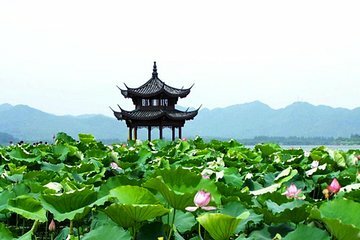 If you really want to see Hangzhou, take a high-speed train and then take taxi to West Lake and get a lake tour one of many tour boats crossing the lake. You will save valuable time and money. I was fooled by huge number of glowing reviews of the tour. I know have doubts about the authorship of those reviews. It was unforgettable and comfortable trip. It turned out to be a private tour for me. July is a slow time for group tours in this area, so the tour guide told me. The driver that picked me up from my hotel and returned me at the end of the day was great. He was very efficient, professional, spoke English fluently and answered my questions as we drove along. The guide, whom I assume was used to having more people, was uninvolved or rather, more involved with his cell phone. I wasn't really enjoying the tour much and so decided the skip the last part. Unfortunately, I ended up sitting at the train station for four hours alone, as all previous trains were booked full.